U.K. poet Robin Robertson’s verse novel about violence and social division in contemporary America, “The Long Take,” and U.S. novelist Richard Powers’ eco-saga “The Overstory” — whose characters are both human and arboreal — are on a list that includes three U.K. authors, two Americans and a Canadian. “The Long Take” is one of two debut novels on the list, alongside “Everything Under,” a story of words and memory by British writer Daisy Johnson. At 27, Johnson is the youngest-ever Booker finalist. U.S. writer Rachel Kushner’s gritty women’s prison story “The Mars Room” is also a finalist. “Washington Black,” the saga of an escaped slave by Canada’s Esi Edugyan, and “Milkman,” a story by Northern Ireland writer Anna Burns set during the violent conflict known as the Troubles, round out the list. This year’s judges have favored new talent over more established names. Of the six finalists, only Edugyan has been nominated before, and favorites including Canada’s Michael Ondaatje didn’t make the cut from the 13-novel longlist. 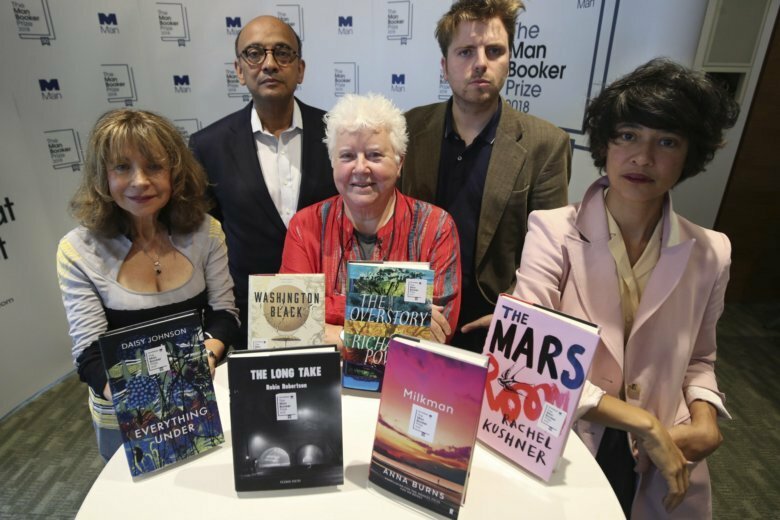 Founded in 1969, the prize was originally open to British, Irish and Commonwealth writers. Americans have been eligible since 2014, and there have been two American winners — Paul Beatty’s “The Sellout” in 2016 and George Saunders’ “Lincoln in the Bardo” in 2017. The winner of the 50,000-pound ($66,000) prize will be announced on Oct. 16 during a black-tie dinner at London’s Guildhall.